Published: May 12, 2014 at 03:50 p.m. Updated: May 13, 2014 at 10:08 a.m.
NFL roster construction is a zero-sum game. For every rookie that lives out his dream to play professionally, there is a veteran suddenly out of work. The Cleveland Browns' dismissal of Vince Young on Monday was a dramatic example of the collateral damage that veterans suffered during draft weekend. The 15 players listed below won't get released right away like Young, but their work lives were just made tougher. Matt Cassel and Christian Ponder, Minnesota Vikings quarterbacks: We're not sure what Ponder is still doing on the Minnesota roster. It's weird to keep a top-15 pick at quarterback around to be the No. 3 player at the position. Cassel, the team's presumptive starter, was never going to be a long-term solution for the Vikings. Still, he had to be hoping to avoid a battle with a first-round pick at the position. Coach Mike Zimmer already said that he "hopes" Teddy Bridgewater is good enough to force himself into the starting job. 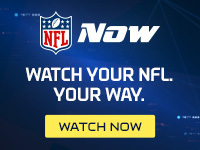 BenJarvus Green-Ellis, Cincinnati Bengals running back: Offensive coordinator Hue Jackson says that there's room for Green-Ellis alongside second-round pick Jeremy Hill, at least for "right now." The best case scenario for the Law Firm is that he remains in Cincinnati for $2.5 million this season, with a reduced role. Just as likely: Green-Ellis gets cut before Week 1. Marcus Lattimore, San Francisco 49ers running back: The drafting of Carlos Hyde shouldn't hurt Frank Gore, because Frank Gore is immortal. Lattimore is a bigger concern. Hyde has a similar skill set to last year's fourth-round pick, who admitted he is struggling mentally and physically in his long return from ACL, PCL and LCL surgery. Brandon Pettigrew, Detroit Lions tight end: Fresh off a four-year contract with $8 million guaranteed, Pettigrew now looks like a backup. He said this offseason that the team's new offensive scheme will throw the ball more to tight ends, but those passes figure to go more to No. 10 overall pick Eric Ebron. The Lions' move to bring back Pettigrew now looks curious and there's a good chance they will see him as an overpaid luxury after his guaranteed money runs out in 2015. Doug Free, Dallas Cowboys right tackle: Free had a bounceback season in 2013. One local report suggested Free could get a contract extension if the team doesn't take a tackle in the draft. First-round pick Zack Martin could play guard as a rookie, then replace Free at right tackle next year. Or Free will get stuck moving to guard -- hurting his long-term value -- this year. Either way, that long-term extension for Free seems unlikely. Justin Blackmon, Jacksonville Jaguars wide receiver: Blackmon's bosses moved on from him with their statements and actions, drafting two receivers in the second round. It would be a surprise if Blackmon ever plays in Jacksonville again, and it sounds like he'll be out of the NFL this year. Michael Roos, Tennessee Titans tackle: The draft's No. 11 pick, Taylor Lewan, is going to take Roos' job in Tennessee. The only question is when. Roos is due $6.625 million in the final year of his contract and could potentially be available in a trade. Shonn Greene, Titans running back: Bishop Sankey was our favorite running back in this class even before we learned that he was going to a team desperate for a starter. Ken Whisenhunt wants to build his offense around the running game, but Greene might not make the squad after undergoing another knee surgery. Matt Schaub, Oakland Raiders: The Raiders said publicly that Schaub was "on par" with AFC West quarterbacks like Peyton Manning and Philip Rivers. (And then they treated Schaub like ... Matt Schaub.) His contract dictates that Schaub will play early, but he's going to have to win to keep his job. Ryan Mallett, New England Patriots quarterback: A trade would be best for Mallett at this stage. He could have had a chance to start in Houston, but a potential deal was never consummated. As a member of the Patriots, Mallett isn't even a lock to be the team's backup after Jimmy Garoppolo was taken in the second round. It also doesn't help Mallett long term that Bill Belichick has essentially given up on him. Brian Hoyer, Browns quarterback: We knew that Hoyer would face competition from a rookie, but he probably would have preferred that it not come from the city's new Bernie Kosar. The drumbeat to start Johnny Manziel will be strong, no matter how many times coach Mike Pettine and owner Jimmy Haslam set expectations that Hoyer will be tough to beat out. Hoyer has a lot more experience dissecting NFL defenses, but his playing style in some ways could be compared to a poor man's Manziel. (Not homeless.) If Hoyer starts Week 1 -- and we have serious doubts -- he'll have to win right away to keep his gig. Josh Gordon's impending suspension will make that tougher, for whoever is starting in Cleveland. Quinton Patton, San Francisco 49ers wide receiver: Last year's fourth-round pick could quickly be replaced by this year's fourth-rounder Bruce Ellington. And trade acquisition Stevie Johnson. And free agent flier Brandon Lloyd. You get the idea. Rueben Randle, New York Giants wide receiver: From Victor Cruz to offensive coordinator Kevin Gilbride to general manager Jerry Reese, the Giants' organization consistently sounded ambivalent when speaking about Randle this offseason. Reese didn't have to hint about it on draft day. He took Odell Beckham at No. 12, a speedster that could ultimately displace Randle's role in the offense. Peyton Hillis, Giants running back: Sure, Hillis' place on this list is probably a sign we should wrap this concept up. But the man is a former Pro Bowl player that graced the cover of "Madden" not so long ago in the clearest sign yet fans should never be allowed to vote for anything. Ever. Fourth-round pick Andre Williams from Boston College is essentially the same player as Hillis, with a lot more promise.